hannah_g was the first guest editor for this limited edition project. 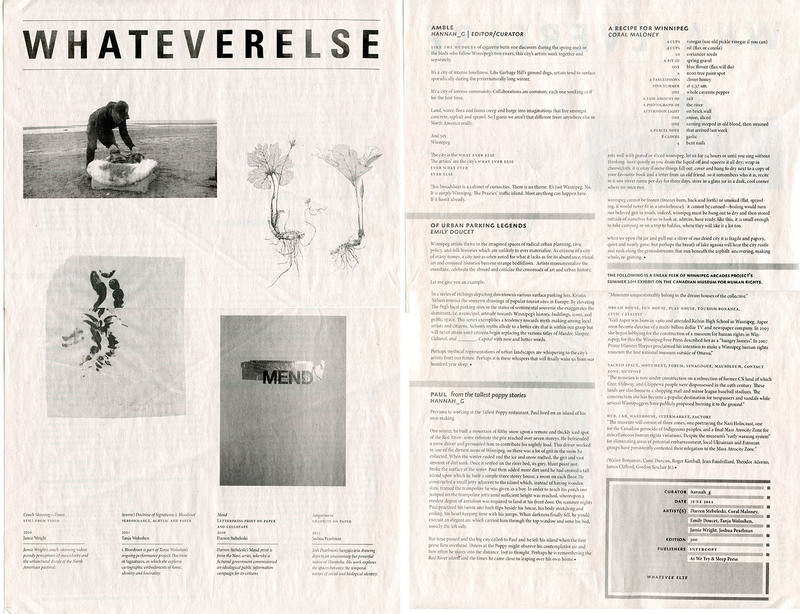 Whatever Else recovered the single broadsheet as an alternative exhibition space. The broadsheets were quietly distributed throughout Winnipeg and elsewhere. Co-published by As We Try & Sleep Press and Intercopy, 2011.